Bridge approaches and W. Garfield Avenue from the bridge to Main Street still need to be paved. If the weather cooperates, the Garfield Avenue Bridge replacement project could finally come to a close this month or next. The bridge was originally scheduled to reopen in 2018, but harsh November weather hampered the project. 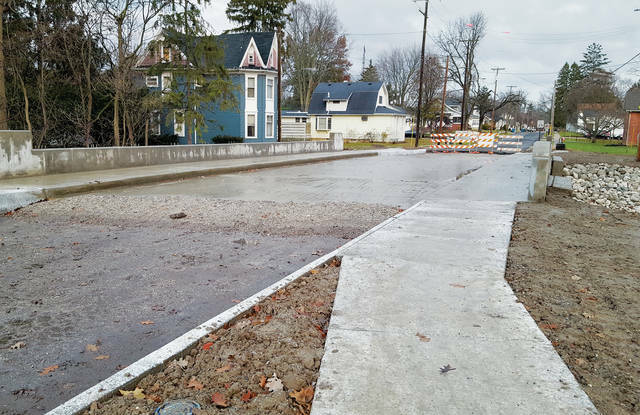 The 75-foot approaches on either side of the bridge, and the road from the bridge to Main Street, were not paved before winter. Replacement of the bridge started later than planned due to Toledo Edison’s delayed relocation of power lines around the project, Hoelzle said last fall.